An excellent DVD for all lovers of wildlife, historic engineering and outdoors. 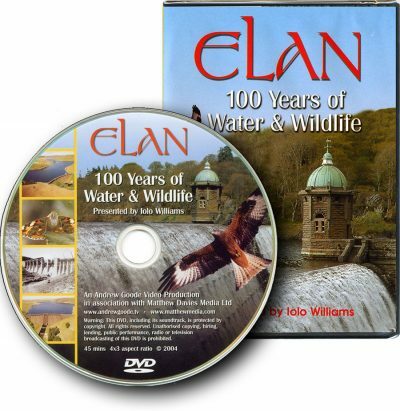 The DVD also includes a brief history of the construction of the dams during the late 19th and early 20th century, focuses on the vast wealth of surrounding wildlife including the spectacular red kites and buzzards that are plentiful in the area. Since its Royal Opening in by King Edward VII in July 1904 the Elan Valley has been a reliable source of fresh clean water for Birmingham, the Midlands (via a 74 mile aquaduct) and parts of South Wales. In this fascinating journey with Welsh TV presenter Iolo Williams you’ll discover why the Elan Valley and Claerwen Dams were built, you’ll travel with him deep inside one of the dams and you’ll experience the abundance of wild birds, plants, and insects that populate this beautiful area. Included on the DVD is a stunning journey down the Elan Valley by air, clearly showing all its dams and reservoirs. There’s also some excellent aerial footage of red kites and buzzards in flight. 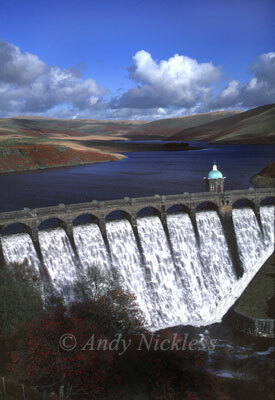 The Elan Valley is managed by Welsh Water and is open to the public throughout the year. There is an excellent visitor center which provides information on the dams and the surrounding wildlife. If you enjoy walking, there’s an abundance of superb tracks and paths which take you from one beautiful dam to the next. You can follow the path of the railway tracks which carried the engineers, all their materials, equipment and tools to the construction sites. The tranquil and unspoiled nature of the valley makes it a rich haven for wildlife and a few minutes walking along these beautiful tracks will bring joy to the nature lover. 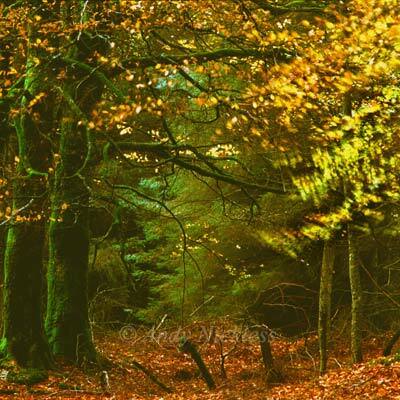 Wildlife abounds in the Elan Valley area, here is an autumnal view of the forest. The Elan Valley has a World War Two connection that few people seem to know about. During the war, British Bomber Command was ordered to immobilise as much of Germany’s industrial capability as possible. To this end, they enlisted the help of designer and inventor, Barnes Wallace to produce a bomb which could destroy the huge dams of the Ruhr Valley. During earliest stages of the construction of the Elan Valley dams, a small service dam had been built to supply water for the steam powered railway trains and machinery used in the project, as well as the village in which the construction workers were housed. The Nant-y-Gro dam was redundant once the main dams were completed but it was left intact. Eventually it came to the attention of Wallace and played a vital role in the British War effort in 1942 when he used the dam in his experiments to perfect a bomb which had to be small and light enough to be carried by a Lancaster bomber but efficient enough to fatally rupture a massive dam. Wallace’s “bouncing bombs” were used in the famous Dam Busters raid on the Ruhr Valley in Germany (16th / 17th May 1943). A visit to the Elan Valley is highly recommended but if you take your dog, please be sure to keep it strictly under control as the area is populated with sheep as well as wild birds and animals. 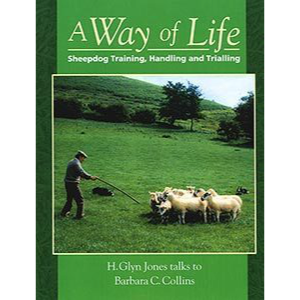 We throughly recommend this DVD for anyone who loves history, wildlife and the countryside. 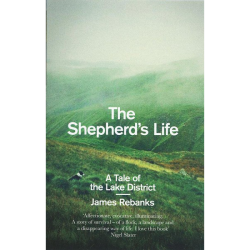 It includes aerial footage of all the dams and reservoirs, plus red kites and buzzards in flight – filmed from the air. 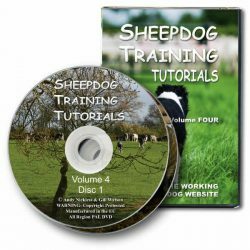 This DVD is PAL format – all regions – it will also play on a Multi Region DVD Player or DVD enabled computer anywhere in the world.